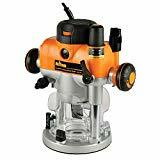 Plunge routers are one of the most versatile and handy devices when it comes to woodworking. There’s no doubt about the number of things you can do with them, and the magnificent performance they can offer. But surely, plunge routers are not products easy to pick. With hundreds of devices out there, brands, designs, and options to choose – you may need some help to pick the right one. Therefore, here we go over many things you have to consider before buying the best plunge router, so you can ultimately make the right choice. A fixed router, like its name says, is a product that allows the user to set a desired depth and cuts at that depth throughout the whole process. With a plunge router, on the other hand, you can set the depth while you’re cutting and achieve different depth results according to your needs. You could say that a plunge router is a more versatile type of router than a fixed one. 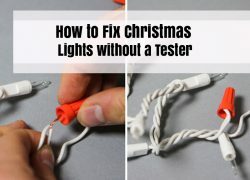 However, a plunge router can also be used as a fixed router – not as easy as using a fixed one but very likely with similar or almost equal results. A plunge router simply allows you to do whatever you want without problems. 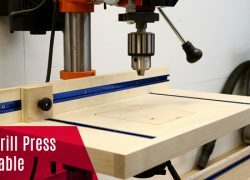 Anything that demands a router from doing simple woodworking to creating doors, windows, doing inlay work, grooves, and much more – it is possible with a plunge router. You get the freedom to decide what to do with it, and create the result you need effortlessly. That’s a plunge router does for you. You surely want plunge router for your woodworking applications, so let’s be honest – what better for that than to know what these devices offer? The DWP611PK is a plunge router with 1.25 HP motor, a fantastic variable-speed design, and LED lights. For anyone looking for exceptional results, the DWP611PK is undoubtedly a great choice. Having such a powerful motor with 1.25 HP, you get a product that goes through any application effortlessly, capable of going from 16,000 up to 27,000 RPM. Its stronger and more powerful cutting delivers a perfect result every time. But of course, all this is even better when you add the variable speed control that promotes a more precise & reliable cutting performance. Working with only 7.0 AMPs, this device is easily one of the most reliable out there. The motor even comes with a soft-starting feature which reduces common problems when using. It also maintains the desired speed continuously and more effectively. And this is all improved when you consider the magnificent depth adjustments and overall removable design. The adjustment ring helps to change bit depth more efficiently, increasing convenience exponentially. The plunge base is also adjustable and convenient, with an adjustment rod for a more precise setting. When you add the clamping mechanism, you will work with the device more reliably, avoiding any movement and keeping the device more accurate & balanced. Add the over-molded rubber handles for comfort, aluminum motor housing for durability, and the excellent shaft-lock for quick bit changes, and you’ll be getting a top-notch device. With the many depth, bit, and base options you have with this plunge router – there’s just not many options to compare with when it comes to quality. A professional woodworker or contractor would heavily benefit from having an expert-level device. And guess what – the Bosch Colt Palm Grip PR20EVSK is exactly that. Any expert who expects the faster and most effective performance will surely benefit from having this palm-sized router. It is one of the most stress-free to use as well, very versatile, and provides a powerful performance at all times. 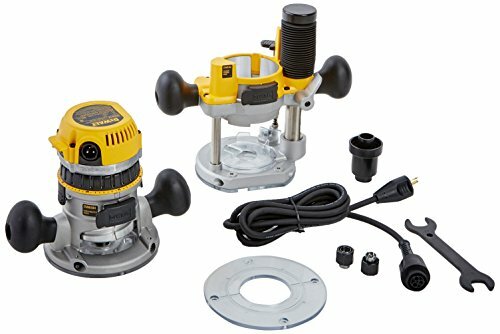 Its compact design helps to use it more effectively for different types of applications such as trimming laminate, flooring and deck planks, carpentry, dovetailing, mortising, and more. Whatever you intend to do, with its compact and light build; you will receive a top-notch result. Despite its size, this Bosch plunge router is still one of the most powerful out there. Working with a 5.6 AMPs motor, it is capable of going from 15,000 to 35,000 RPM without problems, delivering a highly efficient operation. Enhanced with the addition of the variable-speed system, the soft-start, and the quick-lock features, you will receive a product that is not easy to dismiss. And still, it will help you get more durability & resistance out of it, with a hard plastic casing and rugged aluminum base. Let’s not forget it also comes with several handy accessories such as a straight-edge guide, a collet, shaft wrenches, and even a plastic case for easier portability. No one can say the Bosch PR20EVSK is not a fantastic choice. Makita always products some of the most reliable & easy-to-use devices and tools, and the RP2301FC is a real example of that. With its fantastic power & top-notch design, you will receive outstanding results with less effort. This variable-speed plunge router was designed with the whole purpose of being more powerful & precise than others. Boasting a 3.25 HP motor that works at 15 AMPs of power, this device will surely meet the highest standards when it comes to performance. It comes with variable speed control and other features for much effortless operation. The rubberized handles and two-finger switch promote a much quicker & reliable use. Add the lock-on trigger and LED Lights, and you get a product almost impossible to fail at using. Then you have the shaft lock for safety and more natural bit changes. The guide system is the easiest to follow, and top-notch depth scales & chip deflector keeps the device safer & more reliable when operating. And when you add the flat-top design, you get a superbly stable product. And let’s not forget its quick-release plunge depth adjuster is one of the easiest to use out there. 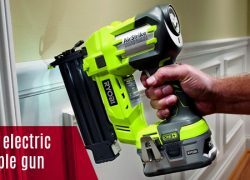 Capable of going from 9,000 to 22,000 RPM, this is a product that won’t let you down when it comes to doing any carpentry. 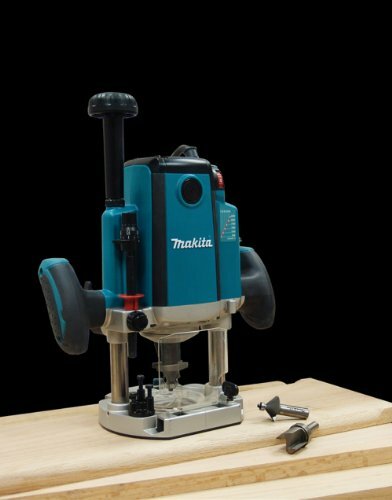 From decking to cabinetry, furniture production, doors, windows and much more - the Makita RP2301FC is an efficient & reliable option not to overlook. Not all plunge routers can meet the highest standards in build quality, ease of use, performance, and precision. The Festool OF 1400 EQ is one of those that reach even the most demanding requirements. Uniquely designed to be used by professionals in woodworking, it works for practically any application from massive cuts to trimming laminate, creating decorative edges, or just whatever. It is precise, powerful, easy to use, and comes with a wide array of highly convenient features & accessories no other device offers. Coupled with the CT Dust Extractor, this device won’t leave any debris behind after use. Cleaning will be far easier than with any other product, and you will obtain a far safer operation. The FS Guide Rail, similarly, helps to get a much more convenient device that’s far easier to use, incredibly precise and reduces the amount of operation time. Whether you are an apprentice or a professional woodworker, you will find this device outstanding. From the ergonomic handles that improve control and reduce fatigue, to the switches that are easier to reach and highly reliable at all times. You also get a chip deflector that avoids the device to get stuck, promotes a more efficient performance and maximizes dust extraction. The whole device also attaches to the base more efficiently, and you can release without problem when needed. To finish this astonishing device’s features, you get an MFS multi-routing set of templates, two different collets, an adjustable depth control with ball detents, and MMC electronic controls for easier use. Consider its 1400 watts of power, and there’s no doubt this is a product not to dismiss. An affordable yet highly effective router – the Hitachi KM12VC is the perfect option for any woodworking enthusiast or contractor who wants reliability over anything else. 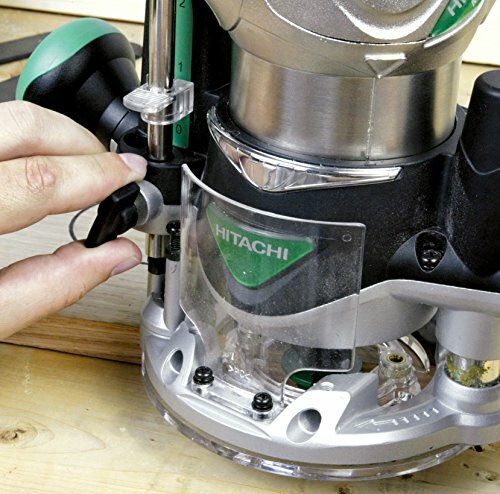 Hitachi is a brand known for its quality in almost every aspect of its products, and the KM12VC plunge router is one of those that deliver what it is supposed to – without drawbacks. This plunge router cuts, grooves, trims, shapes, and even works for patterning and much more. The ergonomic & light design of the trimmer allows it to be outstandingly easy to use and even comfortable. And when you add the powerful 11 AMPs motor with 2.25 HP, you get a product that not only delivers convenience but outstanding results at the same time. Despite its power, its two-stage motor is one of the quietest in the market. It can go from 8,000 up to 24,000 RPM effortlessly and provide the needed control for easier operation at all times. The device is still highly precise and offers almost no vibration while operating to reduce fatigue and provide controlled cuts. The fixed base design of the device weighs as little as 9.9 lbs. Which means it is one of the lightest out there. And of course, let’s not forget the outstanding set of accessories and highly convenient carrying case that increase its value even more. This device will surely fit anyone’s needs; it is powerful, reliable, comfortable and easy to use. An option you should always take into account. Powerful and incredibly precise, the DeWalt DW618PK is an astonishing choice without a doubt. With its durable & reliable construction, you can get a product that delivers exceptional results for years. This router comes with its own EVS fixed base and a broad set of excellent features to enjoy superior results conveniently. From having a highly precise & stable depth adjuster to top-notch motor pack for easier bit changes, to the most convenient dust-collector design – this device offers everything you need and more. What makes really stand out from the rest is the LEXAN sub-base. With this, you get better and easier access to the bit, while receiving more durability and excellent compatibility with different bushings. Apart from that, it promotes easier bit and base changes, comes with a quick-release for the motor and allows the installation of more collets for safety. Then you have the highly convenient dust control design, which helps to reduce debris while using. And of course, with its heavy-duty housing, you will receive top-notch durability & resistance. You won’t ever have problems with dust or debris inside the device either. Finally, coming with a 2.25 HP motor at 12 AMPs and capable of reaching up to 24,000 RPM – this device is not a weak one. Consider its overall easy-to-use design, superb adjustability, convenience, and exceptional soft-start with electronic variable speed control – and there’s no doubt this is one of the best. When it comes to professional-level precision, there are only a few routers that you can think of, and the Triton TRA00 is one of them. Pair up with a very resilient motor and exceptional comfort – this device won't disappoint you in any way. One of the things that makes this router a magnificent choice is the 3.25 HP motor. This router is capable of delivering one of the most potent performances you can hope for. But that power does not come alone. The highly precise work-piece with patented rack and excellent depth adjuster increase overall precision exponentially, offering a highly balanced device. This balance and stability keep the support while cutting, helping to get even better results in the long run. But all that balance does not only come from the adjuster, but from the fantastic cast iron table, it comes with. The device also comes with sanding sleeves, table inserts, and much more to always create superb cuts in any wooden piece. Add the electronic speed control, and you get one of the most reliable & continuous performances in the market. With the soft-start function and variable-speed design, you get less kickback and superior balance as well. Among its other features, we can name the rack & pinion system for easier switching of its base router, and exceptional micro winder for a wide array of adjustments according to your needs. Then you get side air vents plus a stable housing for outstanding reliability. All these features mean you get one of the most versatile, balanced and precise devices out there. 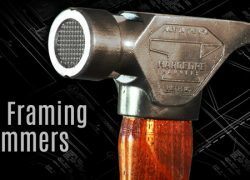 Everyone who knows about woodworking tools acknowledges how performance-oriented & dependable all Porter-Cable products are. When it comes to the 450PK plunge router – you get an astonishing option with everything you need. It is one of the most compact routers in the market, capable of going inside your palm without problems. But it is still powerful with a 1.25 HP motor, holding the excellent power that cuts through many types of woods effortlessly. The engine also comes with several speeds and provides an electronic control for easier operation. 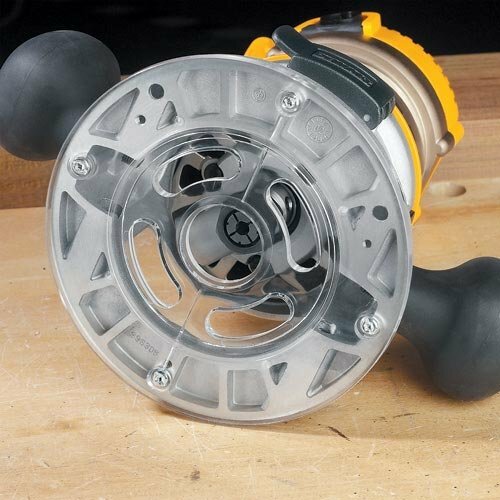 The soft-start feature helps the motor reduce twist and promote better precision. Its grip-oriented handle makes it comfortable to use as well, with superb balance many routers leave behind. It has an overall ergonomic design made with superb materials for durability. The accuracy is improved highly with this design, and yet you don’t lose any convenience of handy features in the process. You can do anything you want with it, from heavy-duty applications like cutting hardwood to the most delicate ones such as doing inlay work. Whatever you do with it, you obtain more control, excellent speed, efficiency and the most outstanding results without much effort. The aluminum housing is also outstandingly reliable & resistant, making the device only 4 lbs. heavy, for much more comfortable and handy control. Wherever you look at it, this device is a magnificent choice. 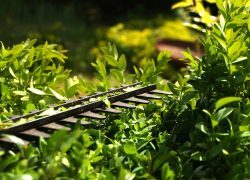 Want a device that goes through the hardest of woods without problems even for a very affordable cost? 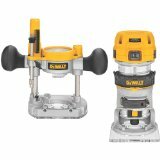 Then the DeWalt DW618PKB will surely meet your needs. Thanks to a soft-start feature, a highly reliable motor performance with 2.25 HP and 12 AMPs, this device does not leave anything to be desired. It comes with everything you could hope for, from an electronic variable-speed control that goes from 8,000 up to 24,000 RPM, to a highly reliable micro-fine depth adjuster. Being able to adjust the router to your liking and cutting precision demands, is an advantage you don’t get with low-quality devices. Add the adjustable cam-lock in the motor, and you get the faster and more versatile device out there. It is also important to mention the dust-collection function it comes with. With it, any operation will be cleaner and much more enjoyable in the long run. And when you add the hardened steel case, you get a top-notch device that will never get stuck because of debris. The die-cast aluminum base is outstanding reliable as well, with precision-machined design. It provides more durability and helps to get the most accurate desired results without problems. With the rest of accessories such as the wrench, sub-base, vacuum adapter, and the carry bag – you get a product for demanding users in every way. Precision always goes well with power without losing any ease of use or comfort. The Makita RP1800 is one of the few routers out there who don’t only have precision, comfort, power, and ease of use – it also comes with outstanding versatility & perfect results. Whether it is merely woodworking, cabinetry, doors, windows, only work, or just anything you can do with a plunge router – the RP18000 will be an excellent choice. It is one of the most powerful out there with a 15 AMPs motor capable of delivering up to 22,000 RPM without problems. Apart from that, its depth capacity goes up to 2.25 inches, which is better than most routers out there. This also allows better precision when operating, especially improved with the liner bar bearings in its action for smoothness. The device also comes with a built-in labyrinth fan for superior dust-collection and less disaster when working. Along with top-notch housing construction, the device becomes one of the most reliable out there too. And all that is enhanced with the fantastic ease of use it offers. A two-finger switch, rubberized handles, lock-on trigger, quick-release depth adjuster, micro-control, and greatly convenient lock-lever – this device is an option not to overlook. With the addition chip deflector, a faster & precise shaft-lock and superb template guide, this device won’t let you down in any way. Everything you need for accurate, stable, yet still powerful performance is all here – and it will surely deliver outstanding results. Examine the router entirely. Make sure you know where the motor is, the chuck that does the cutting, and how to hold it correctly with stability. Clamp guides or dadoes into the device. According to your needs, make sure you add the proper accessories that could help you while operating. Install the desired router bit or edge. Adjust the depth according to your needs. Make sure to tighten up everything correctly and lock up when needed. Place the router over the guide or cutting place. Pushing the router down after turning it on will start the cutting. Moving it to the sides will make it cut accordingly. After finishing the desired cut, make sure to release the router from the guide and stop the down pressure. This will turn off the cutting process. Finally, change the depth or bit according to your needs or desired result. After finishing, take it all off. Finish by plugging the device from power and storing it correctly. This is the way to use a plunge router, and it easy and straightforward for some, but not for everyone. 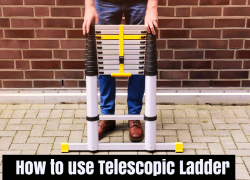 We suggest following these steps if you want to learn how to use one correctly. They look almost the same, but they work for many different things and come with slightly different features. Here are some of the variances and similarities between a Fixed Base and Plunge Router. Fixed base routers don’t move much when using. You need to set the desired depth, and you won’t be able to change it while operating, so they are less versatile & easy to use in the long run. These routers work mainly for creating edges and straight grooves. On the other hand, plunge routers allow users to set different depths even while using, so they work for many more applications. However, this also makes them harder to use, especially for beginners. 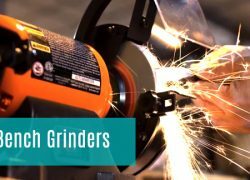 They can cut practically through any wood and provide hundreds of applications such as grooves, edges, cutting hardwood, and much more. In the design of plunge routers and fixed ones, you won’t find many differences entirely. From the collets diameter to the chuck design even to the handles, both models are pretty similar and almost indistinguishable. However, plunge routers tend to be much more comfortable, as they usually need to provide more stability & precision. The capacity of a motor is measured by both the HP (horsepower) and the AMPs it works with. Both plunge and fixed routers are very similar in this sense, but it is pretty common to find plunge router with slightly better ratings here. Most plunge routers may offer up to 4 HP/15 AMPs or even more, while fixed routers stay below the 3 HP/12 AMPs mark. Another very similar part in both types of routers, the speed on which the bit moves can make the difference between a well-done and badly-done woodwork. Here, you can find fixed-speed and variable-speed routers, yet most plunge routers come with variable speeds. Fixed-base routers may come with either fixed speed or variable. The speed may range between 5,000 and up to 35,000 RPM. The most RPM the product has, the faster, stronger and useful it will be. But of course, it is all about the application. As plunge routers tend to demand more power, they usually need more speed & variable-speed controls. As said before, both types of routers work very differently thus one needs more work than the other to work effectively. Here is where the significant difference lies. Not because one is harder to use, but because they are incredibly different to operate. It is common to find fixed routers easier to control, come with a fixed depth that won’t move whatever you do, and regularly come with very convenient side handles for more control. 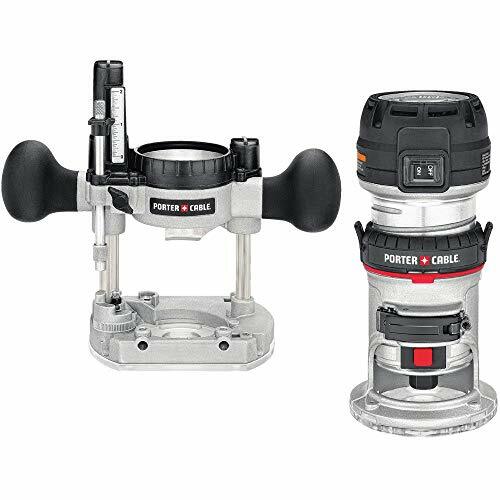 Plunge routers, on the other hand, are more versatile, with a slightly complex depth adjuster that can move according to your needs while using, providing less balance. 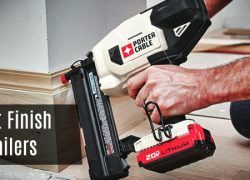 But when it comes to specific cuts, let’s say interior cuts – a plunge base router may offer more comfort & stability as they usually are more versatile. 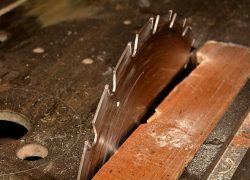 Instead, a fixed router is far easier to maneuver so that it may work much better for edges and set cuts. So, there is not necessarily one more straightforward to use than the other, as fixed routers are slightly easy to maneuver but not as versatile as plunge routers. The build of a plunge router, when compared to a fixed one, is so similar that you may not have to do any maintenance or care that’s too different. However, due to their construction, brand, and overall design – some devices may differ enormously from others, so you have to be careful. It is critical to always read the manual of use of the product, as plunge and fixed routers work very similar, but some additional design, tip model, or overall handling may differ. The differences may not be that big but could make the difference when it comes to maintaining and using your device. If you are looking for the best plunge router, you are surely expecting the device that offers the best performance, comfort, and overall quality. The power of a plunge router is measured in HP and AMPs. The more horsepower and AMPs the router has, the better it will be. Always choose routers with more than 2 HP and 10 AMPs, or else you won’t be able to use it for many applications as desired. Those routers that can go over 3 HP and 13 AMPs usually are incredibly powerful and can even cut through thick wood. So, if you want high power, maybe going for something with at least 3 HP may be your best choice. The speed of a plunge router needs to be variable instead of fixed. Here, it is recommended to go for devices that work with variable-speed control design so that you can pick the necessary speed for your application. 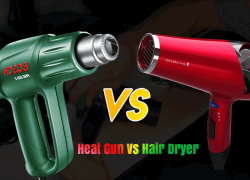 It is recommended to get a product that offers speeds between 7,000 and 35,000 RPM. This way you get better results and a wider arrange of applications. It is important to note that the more powerful a router is (HP & AMPs), the more precise it will be, and the better use of speed it will have.. The comfort of a plunge router is all about the type of handles it comes with. We recommend rubberized handles for easier control when using and more grip. But the design falls heavily on the manufacturer and size of the device. Some routers come with a dual-handle grip so you may have more control over it while reducing fatigue on your arms. Others come with a single-handle grip, which is not the most comfortable, but provides more versatility when using. It’s all about what you find more fitting to your requirements. Maybe the most important of all features when it comes to a plunge router apart from the power, it is the depth adjustment. As you know, plunge routers are more versatile than other routers because the depth adjustment is not fixed as it is in others. This means you get a product that is capable of setting up the desired depth according to your needs while operating. You can change it while using and make sure you get the desired result without problems. The right plunge router needs to come with a very reliable depth adjustment system, a lock-lever, and other safety-related measures to avoid problems while using. While some routers may come with excellent power and top-notch speeds, it would be a problem if you can’t control any of that. The Soft-Start is the feature that helps plunge routers control speed & power and avoid making wrong cuts, especially when starting. This system prevents sudden starts, unbalance, and increase overall precision while cutting. Also, this system also helps to reduce noise and sometimes even helps to reduce vibrations that could harm your performance. A highly recommended feature to have in each router – the dust collection helps to avoid debris-filled woodwork and sometimes even prevent the device from getting stuck. As you know, working with wood is an activity that makes a mess of debris and dust. A collector can avoid the disaster or at least minimize the effects. Here, you can find two types of dust collectors. The built-in collector usually is very useful to avoid dust getting inside the device but still leaves a little sand in the workplace. Then you have the exterior collector, which needs to be connected to a dust port on the router, and thus not only get all the dust from inside the device but also clean the workplace more effectively. 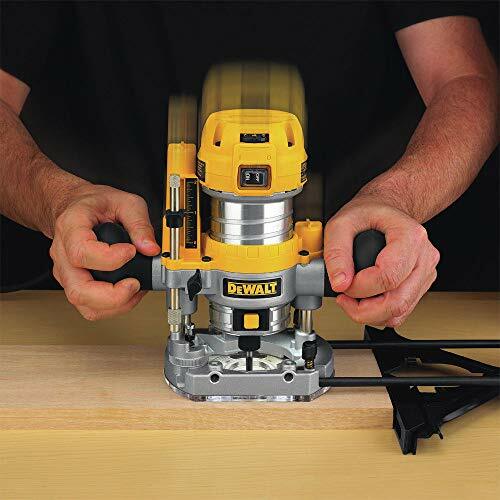 DeWalt is a master of tools and devices when it comes to construction, plumbing, woodworking, and more. And the plunge routers this brand offers are outstanding without a doubt. They are designed with the whole purpose of being more durable and reliable while still delivering top-notch performance. This brand focuses on providing mid to high-grade products that give better results at a very affordable price. From industrial accessories to tools, devices, and much more, Makita is a worldwide manufacturer of some of the most quality-oriented products in the market. 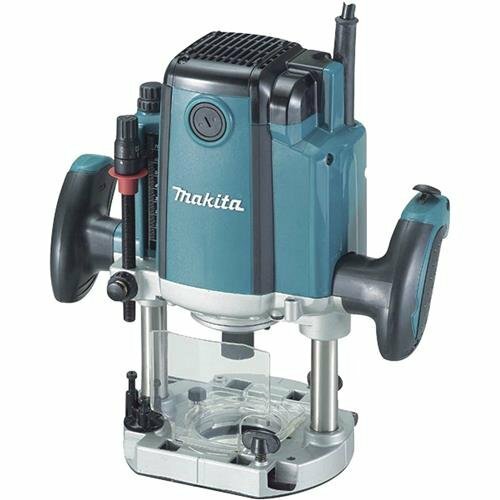 You won’t find any Makita product that does not deliver what it is supposed to. 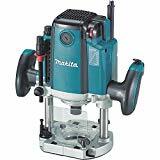 Focusing mainly on mid-range quality products, you can find Makita routers very reliable entirely, durable, and capable of offering superb results. Bosch is a low, mid and high-range manufacturer that creates products that deliver quality over anything else. It is also a brand that may focus on providing designs or applications no other brands do. You can find Bosch product to be slightly smaller for versatility, or eventually more potent for exceptional results. When it comes to its routers, this brand will always deliver the quality you need. 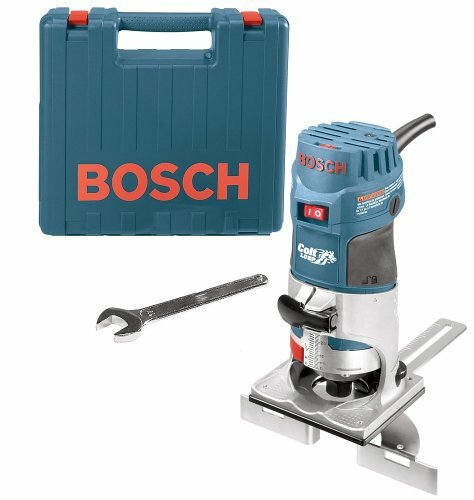 If you pick Bosch, you get magnificent performance & excellent quality overall. Porter-Cable focuses on manufacturing electronic and mechanical products of the highest quality. It touches the branches of construction, woodworking, plumbing and more. Yet, its plunge routers are easily one of the most reliable & effective products out there. With this brand, you get exceptional results at very affordable costs. From low to mid-range products, Porter-Cable will never disappoint. Triton, in contrast with most brands on this list, centers on creating precision-oriented products above anything else. When it comes to routers and similarly precision-demanding devices, Triton comes with professional-quality options to consider. If you are an expert who wants reliability and top-notch precision, then a Triton router is what you should go for. One of the things that puts Hitachi in this list is the ability to create highly convenient yet reliable products at the same time. While this brand does not focus on performance precisely, its convenient and highly reliable products are capable of delivering amazing results as well. Hitachi offers products for anything related to construction, woodworking, gardening and more. Whatever Hitachi product you find, you get fantastic quality without a doubt. Festool is all about being the best. It creates products of the highest quality in the market, focusing on expert and professional level results. This means its products are usually the most expensive, yet the most durable, reliable, and the ones that offer the best performance. 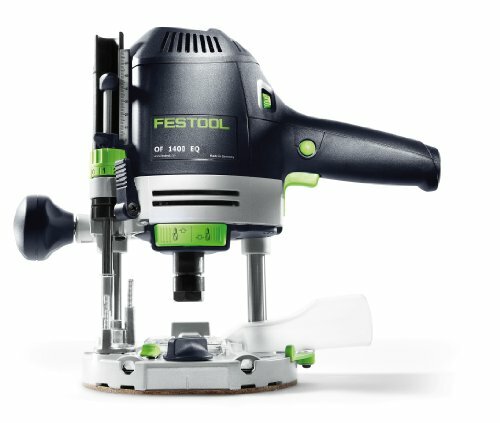 If you go for Festool products, you surely need exceptional quality entirely – and devices that won’t disappoint you in any way but at an expensive cost. As it happens with many other products on the market, plunge routers are more complicated and confusing than they seem. 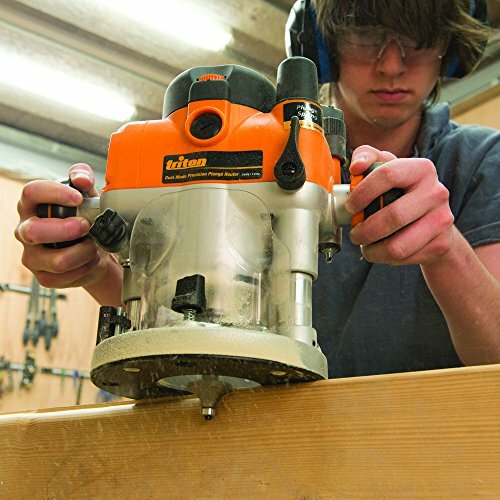 Q: Do I Need To Wear Safety Equipment While Using A Plunge Router? A: Yes, we recommend using safety gloves, safety glasses, a mask, and even ear protectors if possible. This will make the operation of a router safer and prevent you from breathing dust or debris. Q: What Is The Part That Does The Cutting On The Wood? A: The cutting part of a plunge router is the bit. It is the cutting part on every router type out there. And there are several router bits types to consider according to your desired result or application. Q: What Bits Should I Pick For My Plunge Router? A: Straight, profile, ogee, round-over, and even chamfer bits are very common and easy to use. These may work for different applications, and provide exceptional results nonetheless. Having one of these may increase the number of things you can do with your router. Q: Is It Important To Do Maintenance On The Plunge Router? A: Yes, and it is not only to the device but to every part and accessory you use with it. From the bits to the handles, any dust extractor, bases, guides, and more. Make sure everything is clean and well-installed after and before applying to avoid problems in the future. 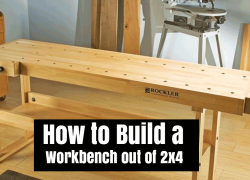 Q: Can I Use A Plunge Router For More Than Just Woodworking? A: Yes, as long as the device allows it. More powerful router with more than 3 HP and 12 AMPs of power can cut through thin metal without problems. But it is recommended to make sure the device is capable of doing so, or you may eventually damage your router. Final Words – What Plunge Router To Pick! The best plunge router is merely the one that offers the most versatility & reliability according to your needs. With the many options available here and our buying guide, you should already know what’s the best option for you. Don’t hesitate and go over each one of our recommendations and tips on picking a plunge router. You won’t be frustrated with your choice if you use our help. Pick the right one now!